We believe that treks with kids are made easier with a little preparation and these days it doesn’t hurt to have an iPhone, car DVD player, or tablet to make the trip that much more enjoyable. 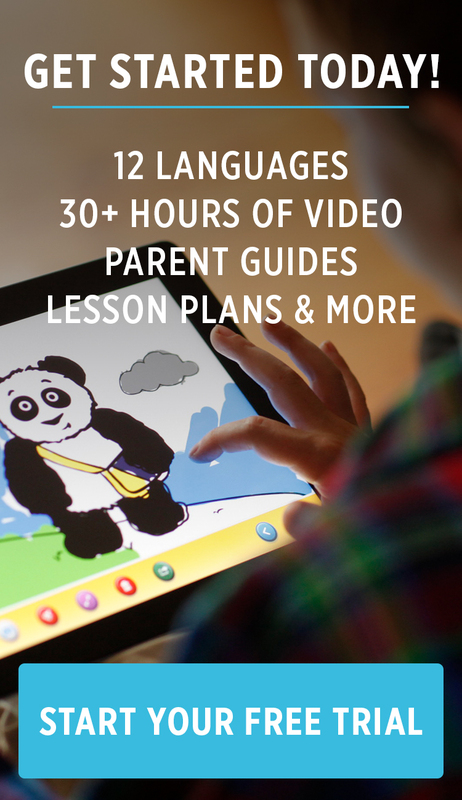 With Little Pim you can combine entertainment & learning. Does it get any better for your wee travel buddies? We’re thrilled to announce that Little Pim was selected to win two prestigious awards this month! Dr. Toy has chosen Little Pim’s Gift Set Plus- a gift set that includes three of our language DVDs, a set of Word & Phrase Cards, and a plush panda- to win a Dr. Toy’s Best Vacation Children’s Product Award! Dr. Toy, Stevanne Auerbach, PhD, has been for many years one of the nation’s and world’s leading experts on play, toys, and children’s products. With 30 years of direct experience, Dr. Auerbach includes educationally oriented, developmental and skill building products from the best large and small companies in her four annual award programs. We also received another new award from the Dove Foundation Review Board for our Spanish 3-Pak (Vol. I). As you plan your seasonal getaways, be sure to take Little Pim along- our Digital Downloads are compatible with your mobile device or smartphone. With 10 languages to choose from and our two iPhone Applications: Little Pim Talking Coloring Book and Little Pim Word Bag, the only thing left to pack is sunscreen. Here are some travel games you can play: 1. My favorite car game as a child was I spy. This is a GREAT game for your kids to build their vocabulary, both in English and in a foreign language. Even if they can’t spell yet, you don’t have to play I spy with letters – you can play it with sounds, or other descriptors. Passing by a field? I spy something that goes “moo”. Whether it’s a cow or una vaca, it’s a fun game to keep your kids engaged with what’s going on around them, and build their vocab and ability to describe their surroundings. 2. Make a map of where you’re going. Or rather, let your kids make a map – it doesn’t have to be to scale. Getting them to draw landmarks they see along the way – whether it’s a strange tree or a wacky building – this is a fun game for any aspiring cartographer. 3. Counting cars, counting cows, counting anything really. This is a fun game even as an adult (you can play it with license plates while your kids play it with car colors). Again, get them to count in English or in a foreign language. You can make it a quest to find a house or car that's red/rouge/ 主要翻译, and helping your kids count in another language. 4. And last, but certainly not least – what journey would be complete without Little Pim? Get a digital download, put it on your smartphone or tablet, and let your kids watch and learn as you weave through traffic. Alternatively, pop in the Spanish or French bop CD, and have yourselves a good old-fashioned road trip sing-along! To celebrate our awards, we're holding a special contest! In the comments below share one item you never leave behind when traveling with your children. One person will win any one DVD or Word & Phrase Cards deck of their choice!